Download Your NZ Datasheet Now! The interlock is a crucial part of sheet pile design. This four point connection offers superior performance and shear load transfer. 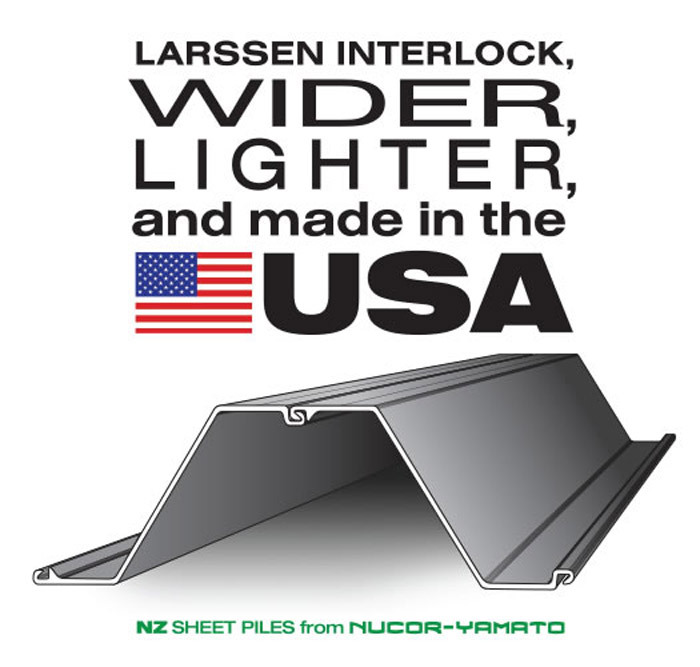 For water retention applications, the Larssen interlock is unmatched. In the domestic range of sheets, the new NZ section is wider than all PZ sections we offer and 11% lighter than the comparable PZ 27 sections. The NZ sheets are a perfect fit for your federally-funded projects with the “Buy American” clause.